Whew! What a crazy year it’s going to be! Epic. Fun. Exhausting. But in a good way. Collecting those checks one by one and chugging like a mutha’ in the middle of the woods 😉 Here we go for race number 2 of 2018!! Recapping my epic day on the trails this past Saturday!! As a kid, I grew up visiting Cloudland Canyon and playing in the waterfalls. I love this place and I love running it even more. The 50K this past Saturday was epic in many ways. This was my fourth 50K and I think I enjoyed it the most. Mild weather, downpours beginning at mile 18 and a new PR for me. Grand totals: 32.5 miles, around 4000 feet of elevation gain and I finished in 8 hours 4 minutes. I was pretty happy with that. The first 13 miles of the race are incredibly scenic as you run around the canyon rim, down inside, then up past the waterfalls. There are something like 400 steps you have to climb up… but the views are magnificent. The next part of the race is pretty runnable through some back country trails as well as mountain bike trails. 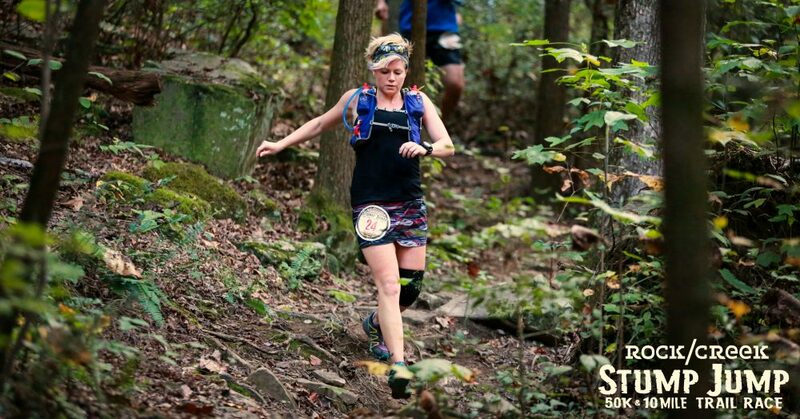 I had run the first part of the race (~13 miles) twice before and I’d run the remaining trails while doing the Chattanooga 100 relay this past December. So I knew exactly what was in store. That probably helped a lot for finishing with a new PR. Glad to have my hubby and running buddies there at the aid stations. A great day in a great place! Hi. I’m Lauren…a mom to 3 special needs kiddos (one home grown and two through adoption,) a biochemist, trail runner, outdoor junkie, personal trainer, nutrition coach and all around nerd.